A quick video where I share how to make a Tomato, Kale and Mushroom Frittata. This video is from POV Italian Cooking and part of my quick shot video series. This is a very health and filling breakfast item that is sure to be a hit with your family. The addition of basil pesto kicks up the flavor of the eggs! A quick video where I share how to make a Tomato, Kale and Mushroom Frittata. 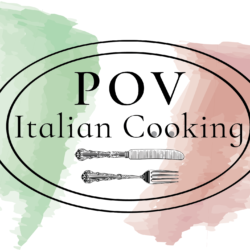 This video is from POV Italian Cooking and part of my quick shot video series.